The husband of a female soldier found stabbed to death near her home was arrested Friday and charged with murder along with a second man authorities say was hired to kill the woman. The death of 29-year-old Sgt. Christina E. Smith was the third off-post killing of a Fort Bragg servicewoman in four months, stunning a tight military community that was still seeking to come to grips with the earlier deaths. "For me, I was thinking, 'No, gosh, not another one,"' said Fayetteville police spokeswoman Theresa Chance. Sgt. Richard Smith, 26, was charged with first-degree murder and conspiracy to commit murder, Chance said. Pfc. Mathew Kvapil, 18, faces the same charges, and Chance said he was hired by Smith to kill the wife as the couple walked together Tuesday evening. An initial hearing was scheduled for Monday for both soldiers. Officials said they didn't know if either man had been appointed an attorney yet. Police divers were searching in a creek about a mile from the crime scene for the murder weapon. The military said the Army Criminal Investigation Division at Fort Bragg also was investigating, but "no military actions have yet been determined." Smith, who was treated for minor injuries, initially reported that an attacker had stabbed his wife in the neck and fled as the soldier ran after him. Neighbors said they heard a woman screaming and saw Christina Smith in a pool of blood. Fort Bragg officials said the Smiths were both assigned to an Army special operations unit. She was a graphics illustrator in Company A, 5th Battalion, 4th Psychological Operations Group. She is survived by her husband and her parents, Katherine and Steven Loehrke of Mount Orab, Ohio, the Army added. Smith's death follows the killings of Spc. Megan Touma, 23, and 2nd Lt. Holley Wimunc, 24. In the previous cases, the female soldiers were killed off post under different circumstances. Touma, who was seven months pregnant, was found dead in June in a Fayetteville motel bathtub. Sgt. Edgar Patino, 27, the father of the unborn child, was charged with her death on July 29. On July 10, Wimunc was reported missing from her apartment. The Army nurse's body was found three days later by crews fighting a brush fire near North Carolina's Camp Lejeune Marine Corps Base. Wimunc's estranged husband, Marine Cpl. John Wimunc of Camp Lejeune, was arrested July 14. Lance Cpl. 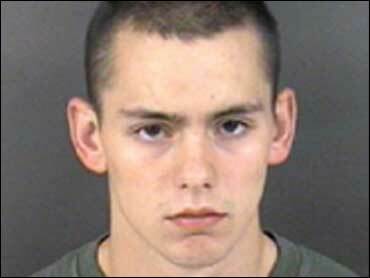 Kyle Alden was charged with aiding John Wimunc by destroying evidence and providing a false alibi. "We have domestic violence issues like every other city," Chance said. "Obviously the military seems to be targeted lately."